Murphy's Tire and Tube Mounting Compound is designed to assist in mounting rubber tires and tubes on all types of wheels. It is fortified with rust inhibitors to provide protection against wheel corrosion. Murphy's mild formula is worker friendly. Murphy's Tire and Tube Mounting Compound is a thick, vegetable based lubricant. Murphy's can be used in its concentrated form or diluted in water (3-4 parts water, 1 part Murphy's). A difference you can see and smell, because we use only high-quality vegetable oil in the manufacture of Murphy's tire mounting lubricant, which is lighter, clearer, extremely consistent and does not separate. Competitors' lesser quality formulas, made with cheap raw materials, are often darker, thicker, unpleasant smelling (for a reason), and separate out. Packs beads better than any other product due to its excellent adhesion, ultra-thick consistency and the fact that it doesn't separate. 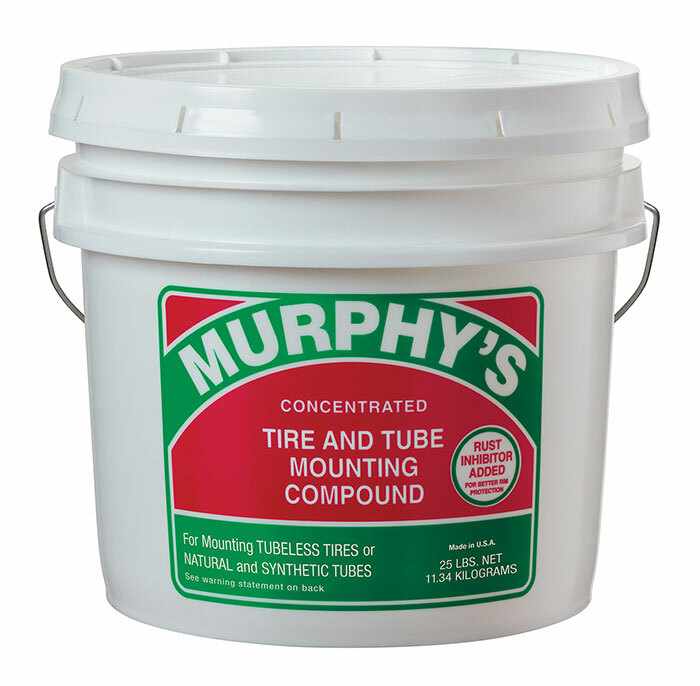 Hard-to-mount tires go on easily when you use Murphy's in its concentrated state. Add Murphy's to water (1 part Murphy's and 3-4 parts water), mix slowly or let it sit overnight to have a superior, environmentally friendly and economical tire mounting liquid lube. Excellent for general purpose tire mounting and de-mounting applications.